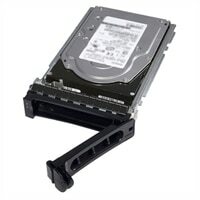 Dell 8TB 7.2K RPM SATA 6Gbps 512e 3.5in Hot-plug Hard DriveIncrease the storage capacity of your system with the 8TB Hard Drive from Dell. Offering a rotational speed of 7.2K RPM, this drive provides fast disk access. Featuring SATA interface, this hard drive delivers enhanced data transfer speeds. Please note the following restrictions: VMware does not support 512e or 4Kn hard drives. 4Kn hard drives are only supported on Win 2012 and UEFI boot and some Linux. 512e hard drives are only supported with Win2008R2 or greater and some Linux. Increase the storage capacity of your system with the 8TB Hard Drive from Dell. Offering a rotational speed of 7.2K RPM, this drive provides fast disk access. Featuring SATA interface, this hard drive delivers enhanced data transfer speeds.